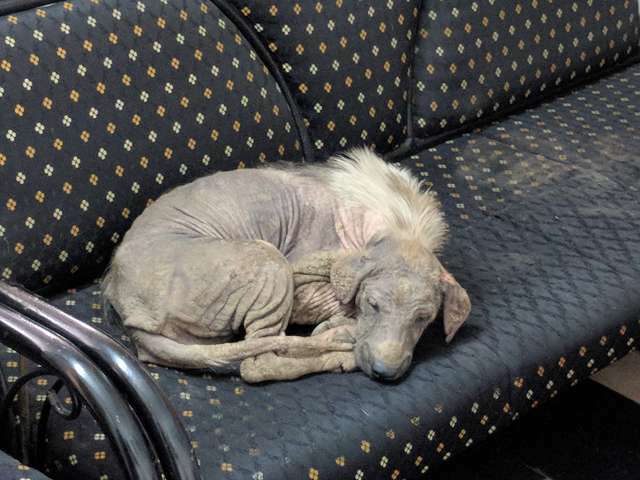 It was just another day at the Humane Society International of India when a sick stray wandered in on her own and curled up on a couch and started napping. It was as if fate had led her to the right place. She was so comfortable and quiet, staff wouldn’t have even noticed her if it weren’t for the stench. The workers in the office immediately got her some food and water and named her Fairy. But the dog was startled and ran away. But at the same time the next day, the stray came back. This time, the staff was prepared. They secured the front door this time so Fairy couldn’t escape. They provided her with food and water and prepared to take her to the vet. 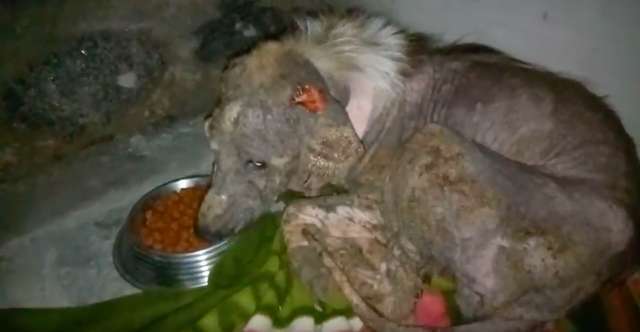 She had severe mange and was almost completely without fur. The dog was scared, but somehow she knew this was the place that could help her out.